I was taken aback when Mr. Medvedev gave me the news: my elderly neighbor Lidiya Silchencko had died and made me executor of her estate. I didn’t know her very well. Occasionally, I had asked her to feed my cat when I would go to St. Petersburg on business, and once I picked up her medication from the pharmacy when she wasn’t feeling well, but mostly I just heard her through the ceiling shuffle back and forth from bedroom to bathroom to kitchen. Because Lidiya didn’t have any surviving relatives, Mr. Medvedev reported, she had named me executor and left instructions that were to only be opened by me. He handed me an envelope and bid me good day. Stunned, I opened the envelope to find two handwritten pages. The first page outlined where her few remaining possessions were to go: furniture and housewares to the charity shop, books to the library, and clothes to the young mother on the first floor. You may think I am a widow, but in fact, I am married to a man who is alive as of Tuesday, June 14 of this year. His name is Boris Silchencko, and he is employed as the custodian of The Tunnel of Love at the amusement park in Krasnoyarsk. I have not seen him since he left me eighteen years ago, but I am well-informed of his whereabouts. Please bring my body to his workplace, place it in a boat, and allow him to discover it when I emerge from the tunnel at the end of the ride. Please do not think I am cruel or morbid. I have given this much thought and it is the right thing to do. In retrospect, I suppose I could have denied Lidiya’s final request, but it did not occur to me. The amusement park in Krasnoyarsk was called Adventure Town and it was small: maybe twelve rides at the most were sparsely scattered through a flat and yellow field. I pushed Lidiya’s corpse in a wheelchair through the field until we found The Tunnel of Love. Her head was wrapped in a scarf and her body in a coat. Sunglasses covered her eyes and makeup her graying skin. The trick was how to get her body into the boat. I am not proud of this, but I had strapped a metal bar to her hips, torso, and neck, so that she would appear to be leaning on me but not about to collapse in a heap. We were the only patrons at the Tunnel, so the young ticket taker paid us too much attention at first, but I told him my babushka was very ill with a contagious skin disease and I was trying to bring her one last moment of joy. He stayed away from us after that. I placed Lidiya in the front boat and I took a seat two boats back. The strains of Alexander Serov’s “Ya Lublu Tebya Do Slez” filled the dark cave as we entered, and I slipped out of the ride and stood on the shore. Several minutes later, Boris’ screams echoed through the tunnel. 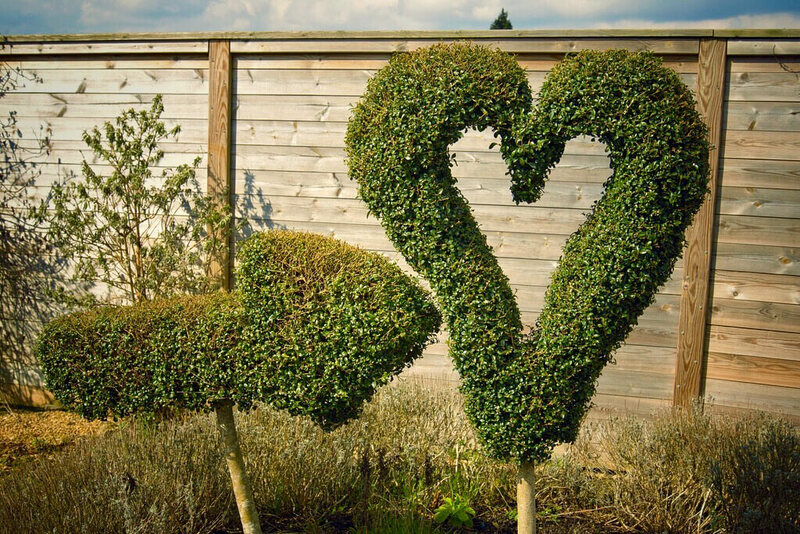 I held on to a giant heart-shaped bush and wept at the beauty of unexpected reunions. Chris Daley is the Director of Writing Workshops Los Angeles. Her creative writing and criticism have appeared in the Los Angeles Times, The Collagist, DUM DUM Zine, Angels Flight • literary west, FORTH Magazine, Crony, Los Angeles Review of Books, and various essay collections, including Brief Encounters: A Collection of Contemporary Nonfiction.